David Conlon, from Co. Sligo, first met Paige Palmateer from New York at a bar in Boston. Four years to the day later he got down on one knee and asked her to be his wife. 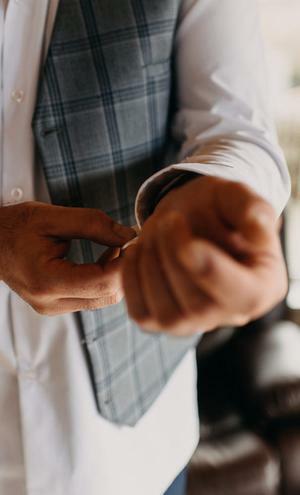 Now living together in Connecticut, the pair decided to tie the knot in the groom's home county, eager to give their 80 American guests a destination wedding experience to remember. 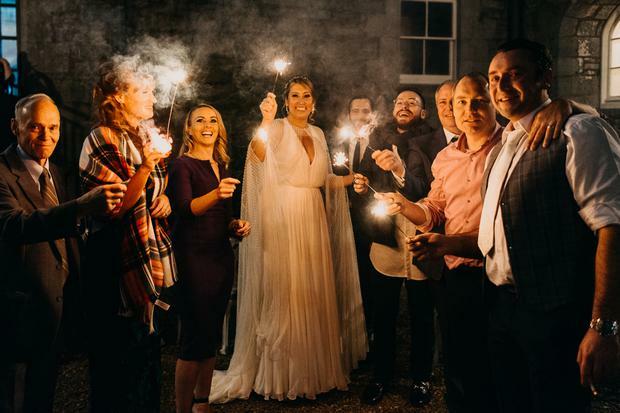 They chose the recently refurbished 14th century Markree Castle as their venue, and had the castle exclusively to themselves for a weekend in mid-October. 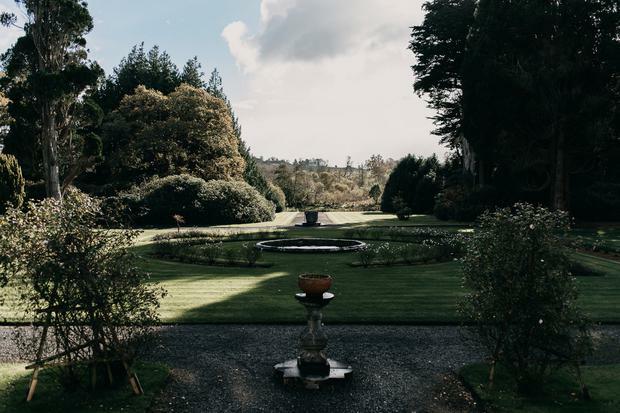 "When we decided to give everyone 'a day out' in the form of an Irish destination wedding," Paige explains, "we knew Markree Castle and its general manager Philip Lee would offer the travel experience of a lifetime for our guests." 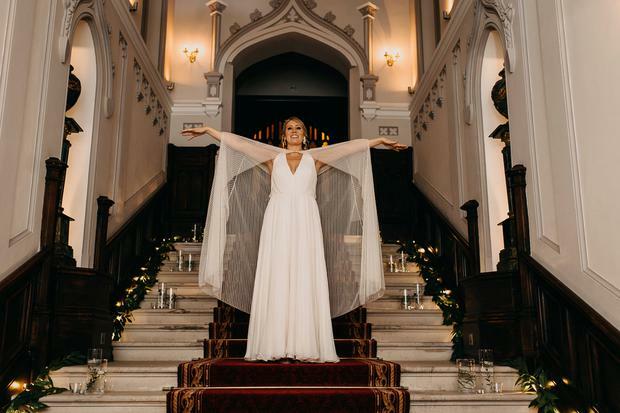 Paige moved into the Bridal Suite of the castle on Friday morning, and it was there she got ready on the big day itself, surrounded by her bridesmaids as she prepared herself to walk up the aisle in her stunning Jenny Packham wedding dress and show-stopping cape. After spending time in Sligo before and after the big day, Paige now encourages all visitors to Ireland to consider adding the county to their itineraries. 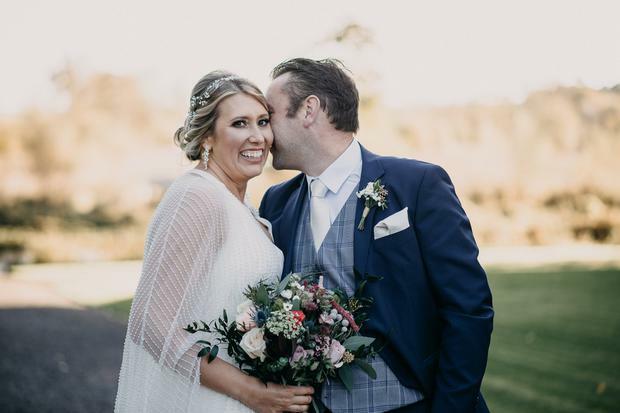 "Our American guests all fell in love with Sligo and many explored different areas of Ireland before and after the wedding. All are planning to return for future visits." Their photos are by Pawel Szustak. 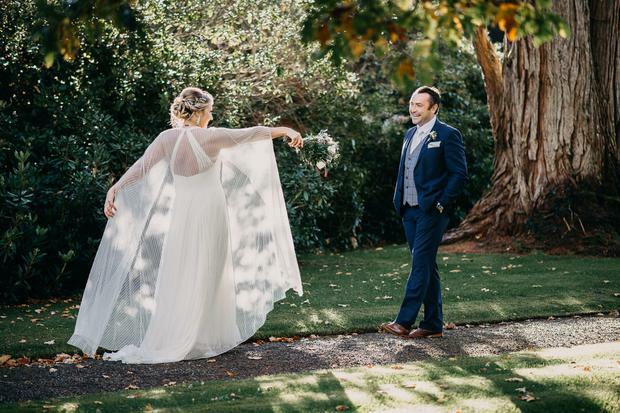 Paige wore Jenny Packham's fabulous floaty 'Daisy' dress for the day, which featured a v-neckline, criss-cross back and a glamorous puddle train. She topped it off with a beautiful beaded cape which she purchased online from BHLDN. 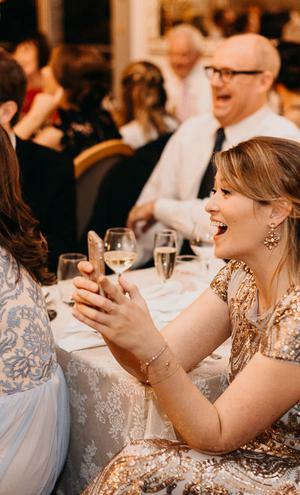 "I bought the dress at a trunk show at Everthine Bridal Boutique in Madison, Connecticut. I was with my sister and it was one of the first dresses I tried on," the bride explains. "I expected to go for something for more embellished but the elegant simplicity won me over." 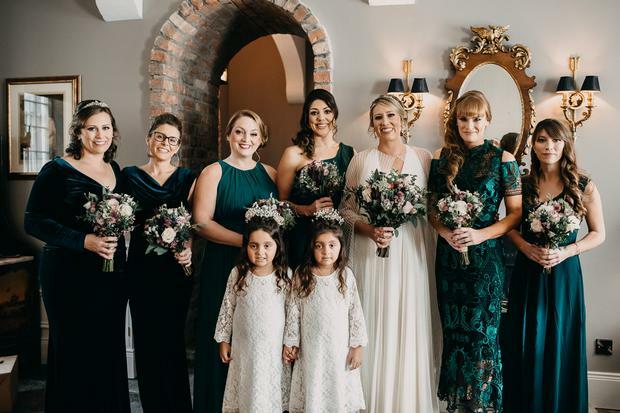 The bridesmaids went with a mix and match style for the day, wearing an array of designers from Marchesa to Badgley Mischka: "I merely asked that they get something dark green and long. I wanted them to have the freedom to choose because I like the diverse bridesmaid look and I know just one style doesn’t suit everyone’s bodies. Each of them looked glorious." 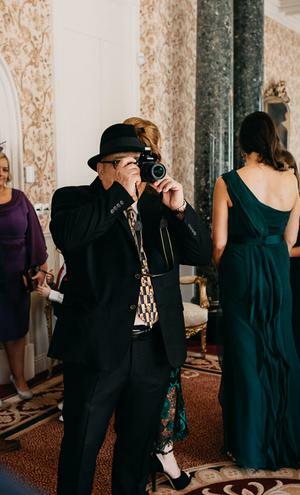 The couple held their humanist ceremony on location at Markree Castle with celebrant Martin Anthony. They exchanged vows on the landing in the main hallway, surrounded by friends and family above and below. 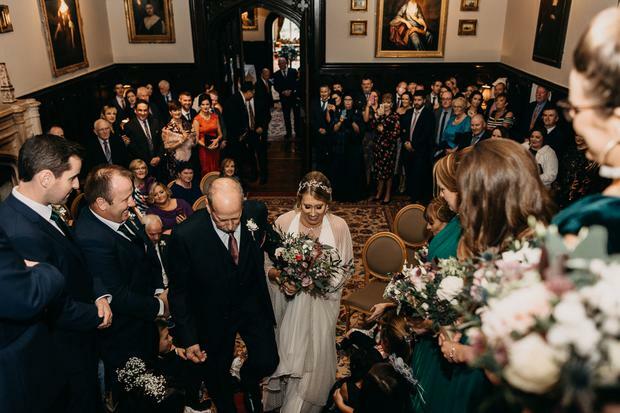 The couple had 16 children at the wedding, ranging in age from 18 months to 15 years old, all of whom were eager to get involved in the big day: "We wanted to incorporate them into our ceremony since they were all so excited about the castle and wedding in general! So we had them enter in front of me all holding hands and sit at the bottom of the stairs. The kids almost stole the show!" 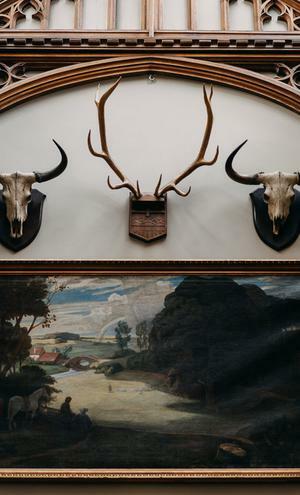 The two main factors involved with the couple choosing Markree Castle as their venue were its proximity to David's home, and its newly renovated look. 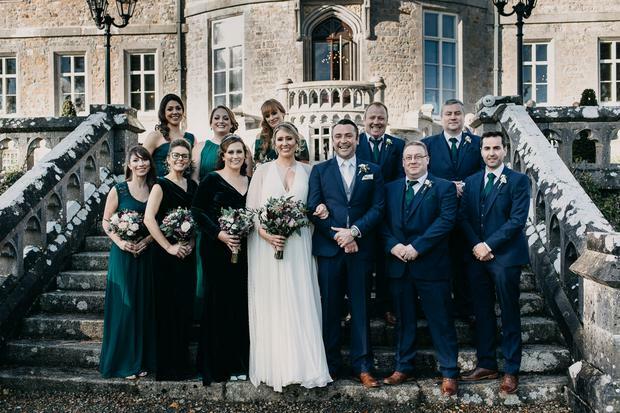 "We really wanted to make this a destination wedding experience for our American guests and give our Irish relations a wonderful day out," Paige explains. 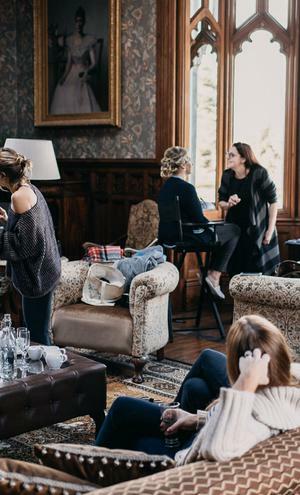 "We booked early enough that we had the castle for the entire weekend, starting Friday morning when I moved into the bridal suite." Visitors from America occupied the 32 rooms in the castle, while the rest took over half of the the newly renovated Homefarm apartments, which are located a short walk over the river. "It was a heartwarming sight to see two cultures meeting and embracing under the happiest of circumstances," the bride says. 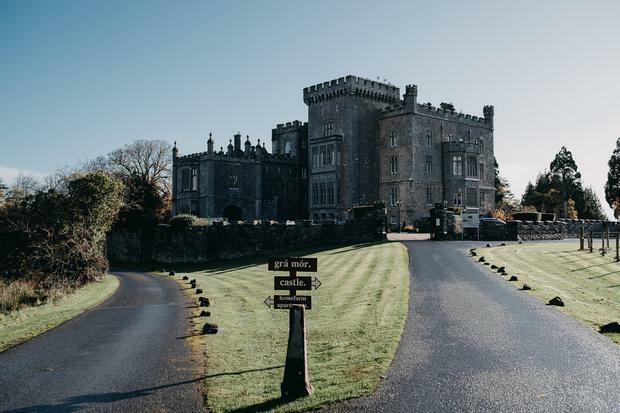 "'Once-in-a-lifetime' are the words our American guests have repeated about their travels exploring the gorgeous County Sligo, buttressed by the ever-friendly Irish locals and their legendary hospitality." 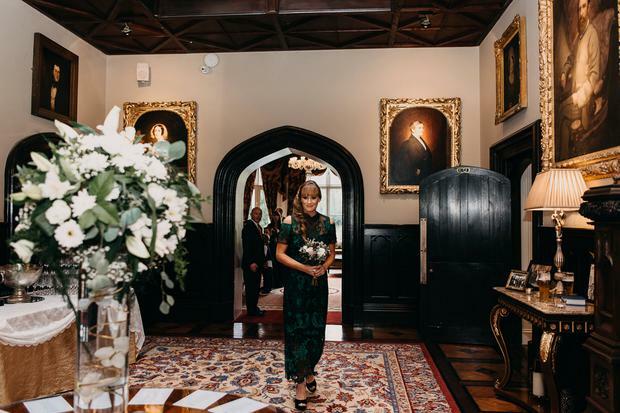 Immediately after their ceremony, the staff at Markree Castle served up some ambiance-creating mulled wine and a selection of delicious canapes for guests before they sat down to their fabulous four course meal later on. "The evening food was split between the most mouthwatering chicken gougons and chips served in little cones and bacon butty baguettes with sausages," says Paige, "they were devoured very quickly! We also had a Friday night buffet and Sunday barbeque – the selection and quality of food was unbelievable." "Be organised," says Paige. "It will make you feel more in control when issues pop up. Even if you are using a wedding planner, have a good knowledge of all the details. And try to savor the day as much as possible; find some time for just the two of you to ponder the special moments in seclusion!"